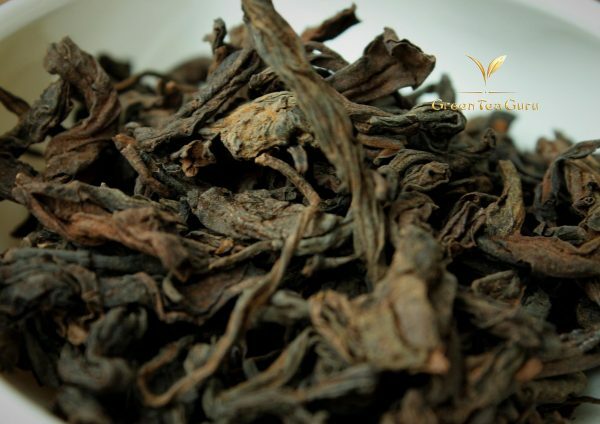 Experience what an aged Raw Puerh tea is all about! 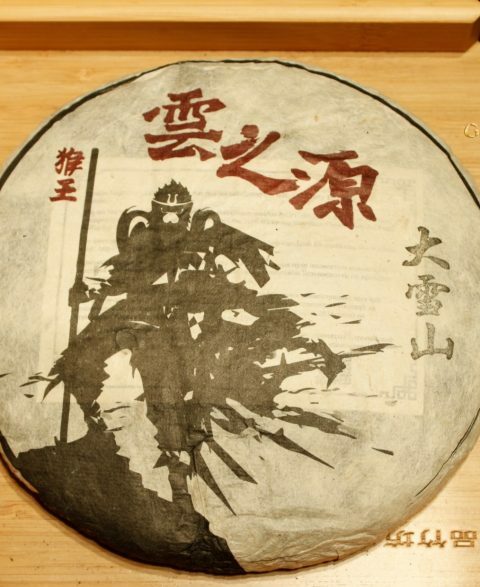 We were very lucky to stumble across and source this fine example of a 90’s Raw Puerh tea. all that remained was 3kg and we took the lot. 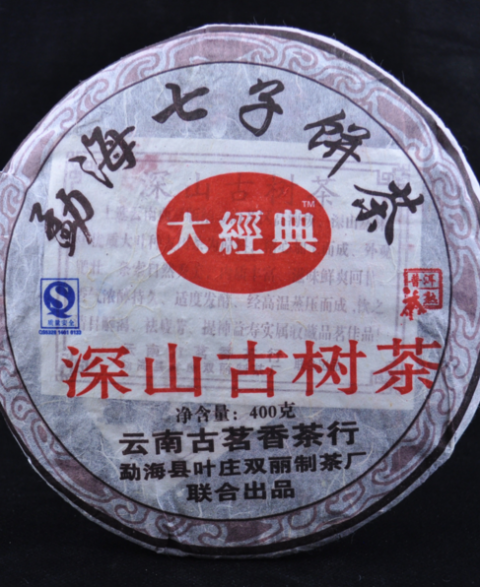 This tea has apparently been resting in Kunming until 2011 and then Gungdong until Oct 2017. The wash is clean with no signs of wet storage. The brew is very deep, very dark and surpases 25 infusions with ease. You will notice sweetness, aged taste and general dark Ripe Puerh charactoristics coupled with a medicinal aged taste. There still is some bitterness apparent along side a satisfying energy within the tea. The slight Guandong aging would have helped push this tea along somewhat but comparing against previous tastings of aged raw i have had, i would suggest that this example is most likely 1995 or before. 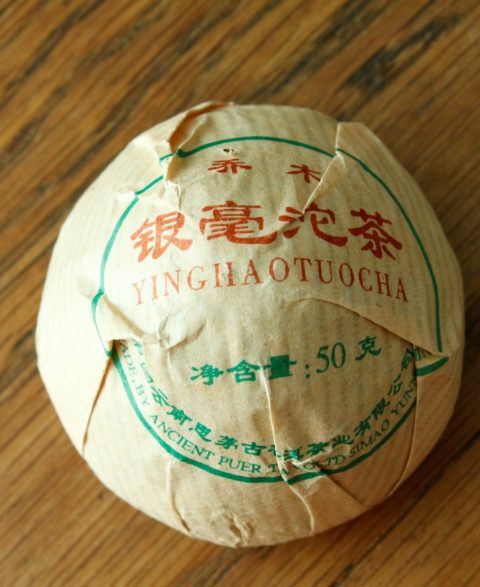 This loose raw was prepared at a time when ‘single estate’ and ‘gushu’ teas weren’t really a thing. 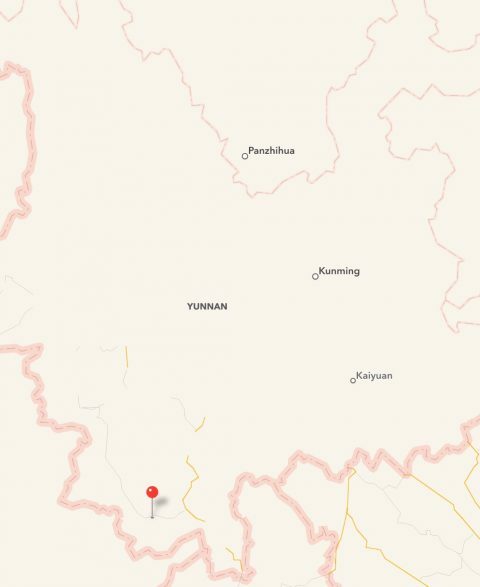 The material could well be from a single area or blend and most likely contains ‘old tree’ and ‘gushu’ material within. 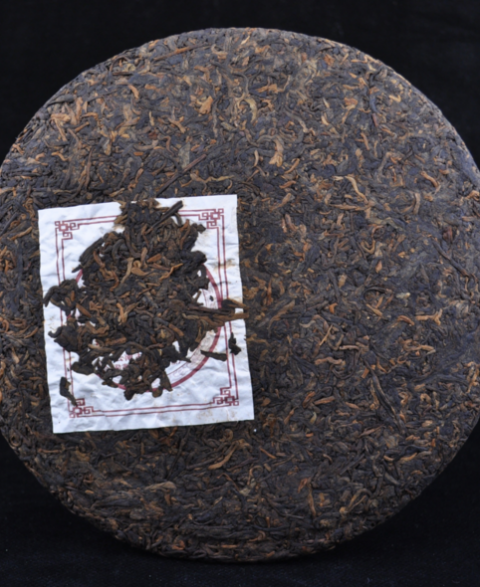 This was my first encounter with a very aged raw puer. 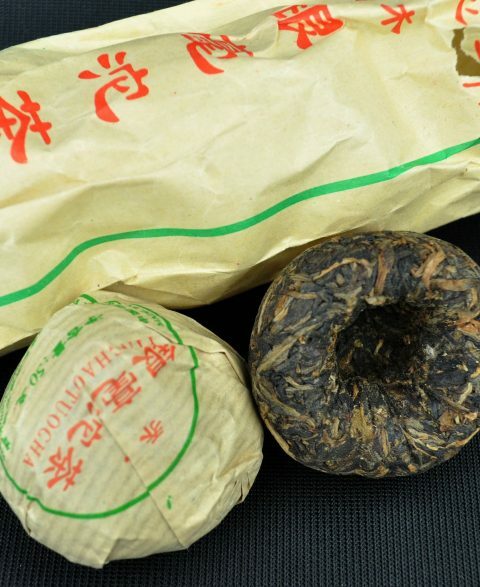 I would be hard pressed to tell this apart from a shu puer, but I don’t drink shu very often – so I’m no expert. I guess this taste is what the inventors of the wo dui process were after when they were researching how to make young sheng taste like it had aged for a couple of decades. 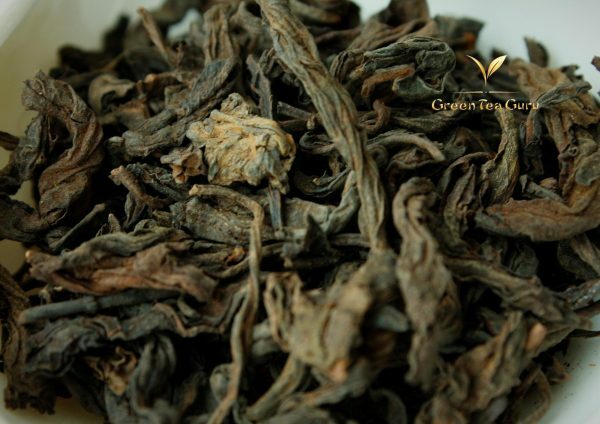 This tea brews up very dark and keeps its colour through many infusions. I did about eight and it was still opaque in the cup. It is faintly sweet, and not at all bitter or astringent. It has a subtly sweet after-taste and a pleasant qi. A very gentle and un-challenging brew, all in all. I think this tea might be just what some drinkers are after, but to be honest, it’s not really my thing. 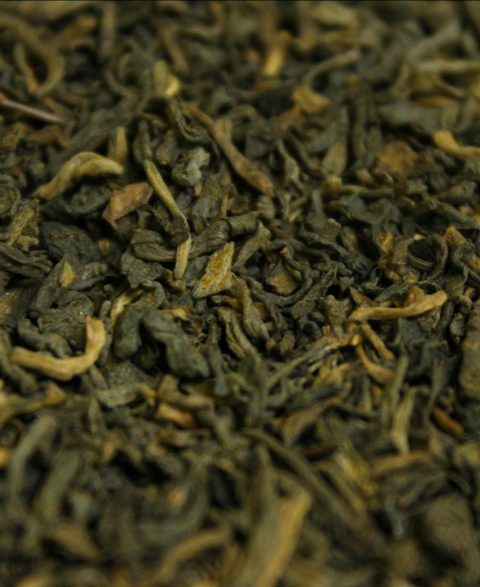 I like a younger tasting sheng, with a bit of attitude: slightly bitter, slightly astringent, and slightly smokey, with real tea flavour. 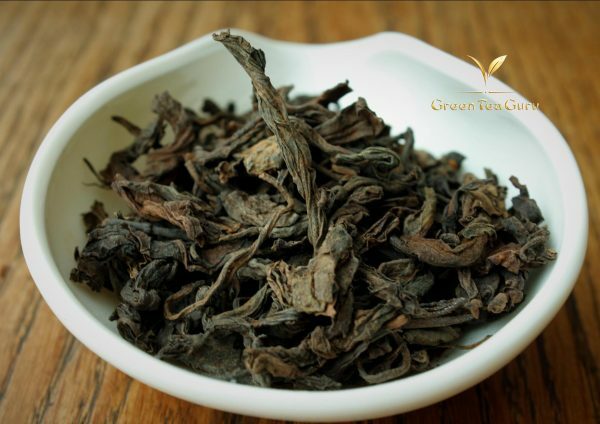 I am a fan of aged puer and find this tea the perfect daily drinker; lovely aged flavor, light but calming body feel (which was surprising for a loose leaf aged puer at this price ). I had no trouble distinguishing this from shu at all.